Our dogs are our family, which means we love them from puppyhood through their senior years. Or, maybe you’re one of those big-hearted rescuers who adopted a mutt who’s already on the mature side. In either case, there are a few things that pet parents should keep in mind in order to keep our dogs as healthy and happy as possible, even as they age. 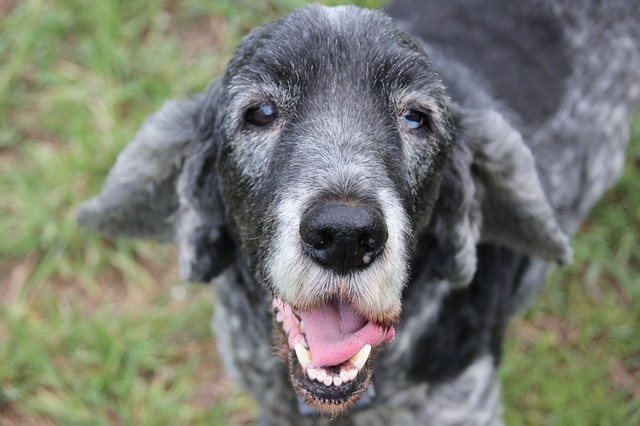 Below, check out 8 changes you can expect as your dog becomes a senior. The more you know, the more you can help make your furry friend’s golden years the best yet! With age often comes stiff, achy joints, for both us and for our dogs. So as your canine companion gets older, he may be slower to get up, climb stairs, and even walk around. While getting stiffer with age is just about inevitable, the good news is, there are lots of things you can do to help. There are different kinds of natural supplements that can support joints, gentle stretches to increase flexibility, and adjustments in their exercise and everyday routines to help them stay active and get around more easily. Senior dogs’ senses can start to dull, so it’s important to pay attention to their depth perception and listening abilities. For instance, if your fetch-crazy pup starts having a hard time catching the ball or finding it on the ground, or if a normally obedient pooch stops listening to commands, it may be time to have his senses checked out. 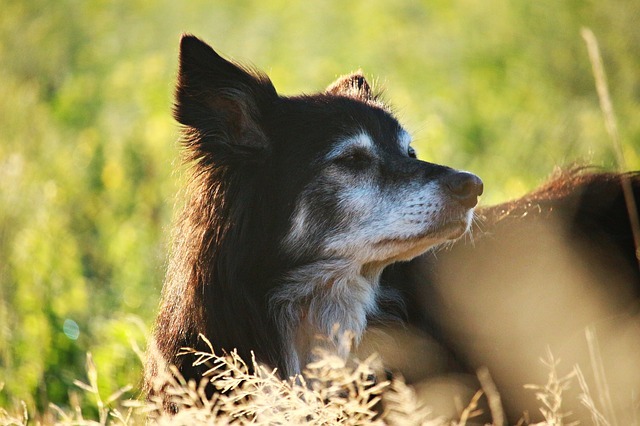 Check out 5 Great Tips For Fighting Your Senior Dog’s Hearing Loss and 5 Ways To Help Your Dog Cope With Vision Loss for more great info. If most dogs love to nap, then senior dogs really love to nap! With less bounding energy, older pups make perfect snuggle buddies, and they’re ready to relax whenever you are. 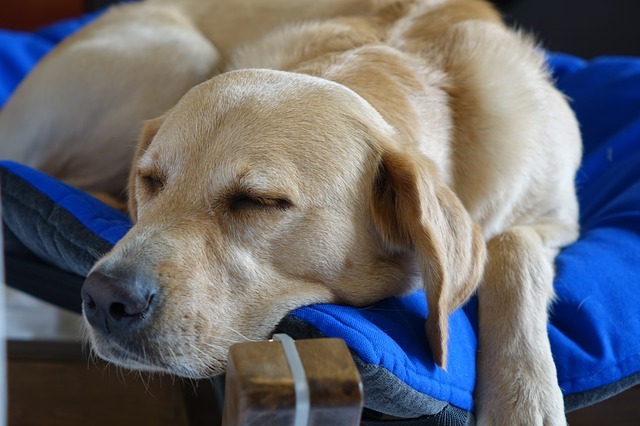 Consider purchasing a couple extra beds for your older dog so she has plenty of comfy places to curl up for a snooze — and make sure they’re cushioned enough to support those joints! As the years go by, you may notice your dog’s skin getting drier — even to the point of becoming itchy, irritated, and cracked. You may notice that your pooch’s elbows and nose are especially dry, making them scaly and crusty. In order to relieve some of these uncomfortable symptoms, you can give your dog a multi-tasking omega supplement or smooth on a moisturizing balm. Coconut oil also helps moisturize, whether used topically or eaten by the spoonful! Once dogs have reached their senior years, they’ve learned a lot about the world and have less of that young-pup energy. Older pooches are perfectly content taking a leisurely stroll, lounging around the house, or just being with their favorite humans. This is one of the many reasons that some dog rescuers love adopting older pooches over puppies! 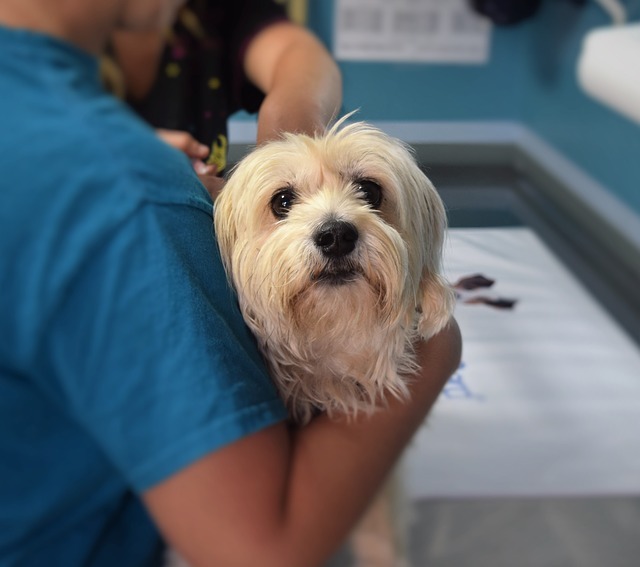 Even the healthiest senior dogs should have regular vet check-ups twice a year. The older they get, the higher their risk of certain health issues, which are always best caught early. And if a certain condition does develop, you’ll most likely be taking them to the vet a little more often. After all, it’s up to us to make sure they are as happy and healthy as possible! Get some good pointers from How To Get The Most From Your Senior Dog’s Vet Appointment. 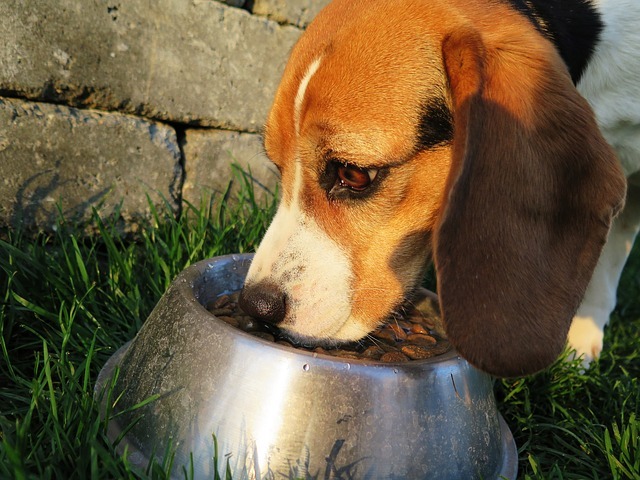 Your dog’s dietary needs are going to change as they age, whether they need more or less of a certain nutrient, or a different caloric intake to match their activity level. It’s important to talk with your vet about how to feed your pup a well-rounded diet. Also, consider adding supplements to help support your dog’s joints, oral health, skin and coat, digestive system, and more. Whether you adopted them as puppies or rescued them once they’ve reached maturity, there’s something special about the bond you form with a senior dog. They tend to be happy just being by your side, have a sense of wisdom, and are eternally grateful that you’re there to care for them. Senior dogs have so much to offer us — and all they want is love in return. Thinking about bringing home a silver-snouted friend? 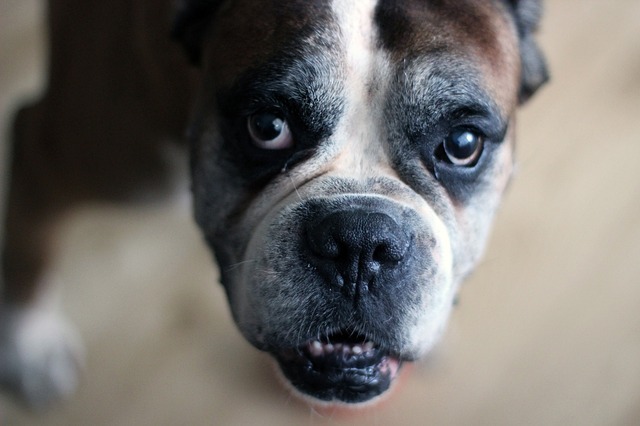 Check out How To Prepare Your Home For A Senior Dog. Looking for more ways to pamper your senior pooch? 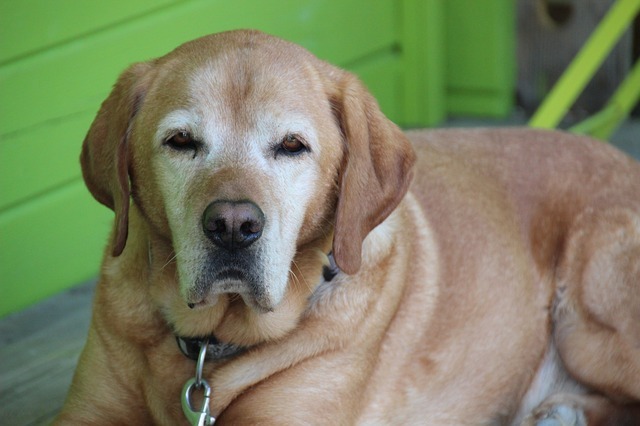 Read 8 Things Your Senior Dog Will Thank You For Doing and 10 Ways To Spoil The Living Daylights Out of Your Senior Dog.